I would like to ask you guys opinion on my nails. 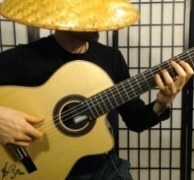 My flamenco teacher passed away recently and I am on my own right now. So i could use some help from your guys. As you can see from the photos, the nail of my ring finger and little fnger on my right hand is very narrow and curved compare to my other fingers. My left hand is different with all nails relatively wide and flatter. My question is how would you shape the less-than-perfect narrowly curved nails on my ring and little finger? B- looking face-on at your palm, ramp the A nail with the long side of the ramp on the right and the short side of the ramp on the left. Use a "flat" angle while filing and look at your nail head-on as you file. 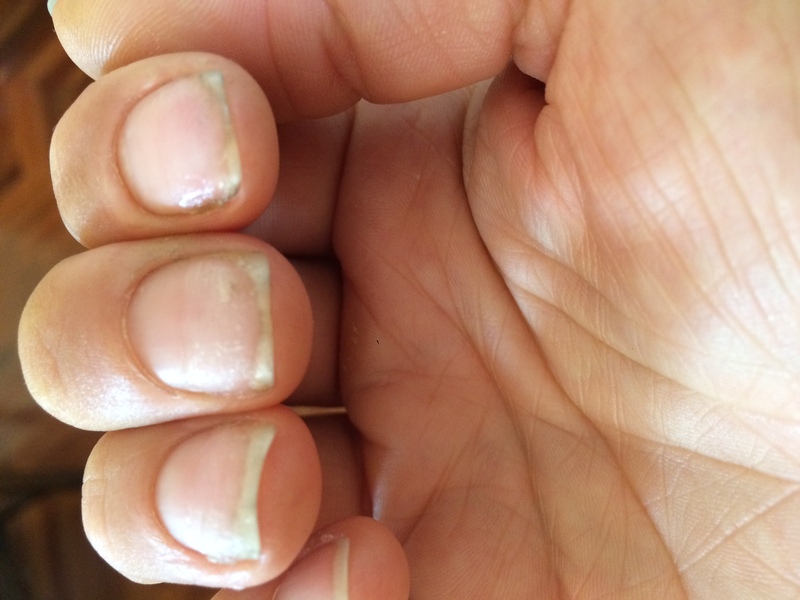 The same way I deal with hooked nails: my middle and ring finger’s nails are like yours. I owe my knowledge to an article by the late Peter Sensier, in the old BMG magazine. 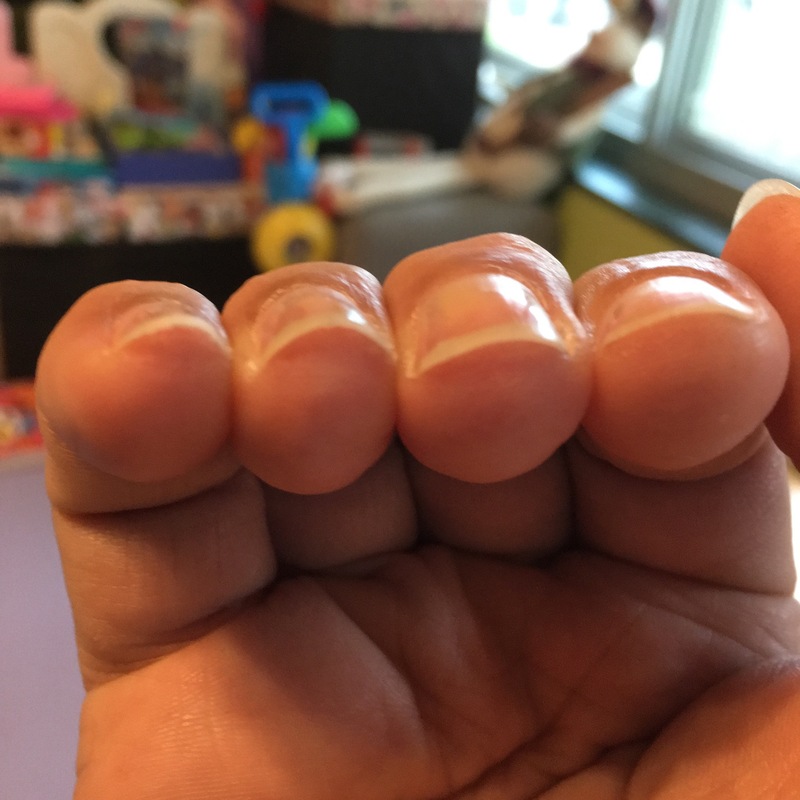 My thumb and first finger nails nails are very hooked indeed, but, using this method I have had no problem for 50+ years. Unfortunately, it is easier to demonstrate than describe. Hold your hand horizontally, palm down. Then the usual way to hold the file is vertically. But instead, hold the file horizontally too, so that it's parallel to your hand. The basic idea is to file your nails this way, from underneath; then the resulting cross-section must be flat, because the nail-file is flat. 1) You will need to tilt the file towards you a bit, i.e. about 15˚ towards the conventional position. 2) You will also need (if you play off the left side of your nails, as most people do, Presti/Lagoya excepted) to tilt your hand to the left a bit, so that nails are shorter on the left side than the right. 3) When finished, round off the nails with the file in the conventional position to remove the resulting knife-edge. 4) Be careful not to cut the quick of your nails with the file — and especially, don't use an emery-board! 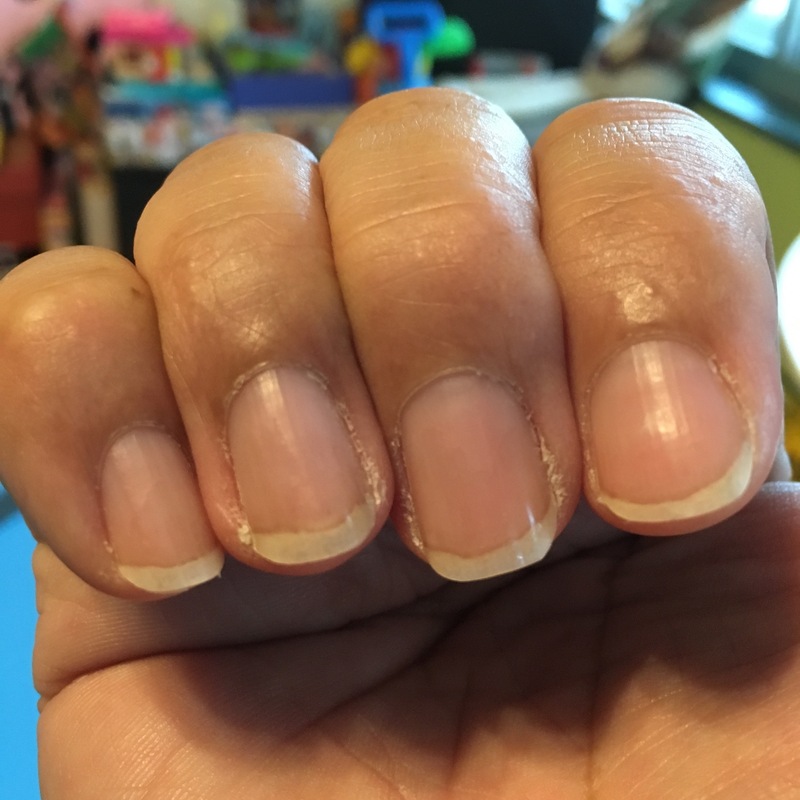 I, too, have hooked nails and have yet to find a good solution. Any chance you might be able to make a quick video explaining your method? I'm not quite sure I understand. As per usual, I don't see anything strange with nail shape here. 1. You need more material to grown on the edges, such that you might have more white part at the edge than the center of each nail after filing flat. File flat in one direction only, don't turn file. 2. Put glue on (CA or Krazy glue), it will bend the nails so they are more ideal like your ring finger already is. 3. Ramp your nail if you feel a corner catching. I ramp this way, Palm face down or away from your eyes: i /, m _, a \, so that there is more white material on pinky side for i, and thumb side for a, but m is pretty much flat across. Ricardo, are you saying that my ring finger nail is actually more desirable than the other fingers? I thought my ring finger nail is too curved (from left to right, not along the finger like bird's claws). I always thought this produces weaker sound because the contact point is narrower than flatter nails like my index and middle fingers. So you are saying I should use some CA glue to make my index and middle finger more curved? Am I understanding it correctly? Hey! Haven't post here in yonks but seeing this i thought i would throw my 2 cents in, never know what wil work or resonate so to speak. Ricardo is spot on with super glue and shape and everything really. I found super glue to be a game/ life changer haha! man, its so easy and so good...i think the key is to have the right stuff fresh! I use a Japanese one and its 99.9% cyanoacrylate. Where i differ slightly but the end result is the same is in the filling part. I have different fine grades of sand paper and just wrap it around the string and play all techniques imaginable til it doesnt catch at all...for rough shape i use 800-900grit, and for fine finishing i use 2000grit....i havent used a file in ages now, totally use this way...from the pic you can see the result is the same, i tried to give different angles with different fingers as not to upload 3 pics but it is totally flat, the length is about the end of my fingertip...and superglue makes it round not flat..
ps-my index edge is not normal, caught it on a car door other days and hence the odd edge...but doesnt matter too much..